Every part of a machine that operates in a corrosive environment needs to be corrosion resistant – even down to the smallest screw. Stainless steel is an alloy of low carbon and chromium that provides excellent corrosion resistant properties and high-temperature resistance. These properties make stainless steel industrial fasteners an ideal choice for marine environments and applications involving harsh chemicals or extreme temperatures. Stainless steel machine fasteners are used by numerous industries including aerospace, military, industrial, and construction. A low price on a cheap product is not a deal – it’s just a cheap product. 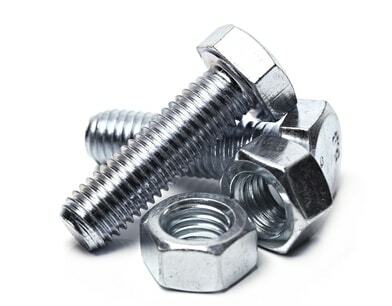 Moreover, low-cost, low-quality stainless steel fasteners need to be replaced more often than those that are well made. Value Fastener is dedicated to offering high quality, long-lasting stainless steel machine fasteners at competitive prices. Our selection ranges from stainless steel bolts to stainless steel wood screws in imperial or metric sizes and in different alloy options. We also support defense contractors by offering a wide range of military grade fasteners. We’re confident that you will find the fasteners you need in our catalog. Contact Value Fastener for more information about our selection or browse our online catalog to request a quote. Value Fasteners stocks a large inventory of stainless steel machine fasteners, screws, washers, and other hardware in different materials, sizes, and styles. Request a quote for the stainless-steel fasteners that meet your requirements or contact us to learn more about our product selection. Military Hardware: Our selection of stainless steel MIL-Spec fasteners includes hex cap screws, machine screws, socket screws, and washers in several imperial and metric sizes. Stainless Steel Anchors: Inserts that provide extra support for screws installed in drywall or brittle and porous materials. Styles include drop-in, sleeve, wedge, and hammer drive in imperial sizes from 1/4 to 3/4-10. Stainless Steel Bolts: Select from hanger bolts, hex flange bolts, and hex tap bolts in imperial sizes from 1/4-20 to 5/8-11. Stainless Steel Cap Screws, Hex: Feature a hex-shaped head and a flat end. Select from 18-8, 316 or Mil-Spec cap screws in imperial sizes from 1-8 to 7/8-9. Stainless Steel Drywall & Deck Screws: Stainless steel fasteners designed especially for drywall and wood installation. Options include bugle Phillips deck screws, bugle Phillips drywall screws, and bugle square recess deck screws in sizes from #6 to #14. Stainless Steel Electronic Hardware: Includes several styles of hardware for electronics applications including flush head studs, jackscrews, standoffs, spacers, and self-clinching fasteners. Sizes range from 4-40-2 to 14 imperial, and M2.5-0.45 to M4-0.7 metric. Stainless Steel Flange Screws: Feature a circular flange under the head to distribute loads. Available in imperial sizes ranging from 6-32 to 1/2. Stainless Steel Lag Screws: Provide extra durability for fastening heavy lumber and other heavy materials. Stocked in imperial sizes from 1/4 to 5/8. Stainless Steel Machine Fasteners: Extra heavy-duty stainless-steel fasteners with a Phillips, slotted, unslotted, 6-lobe, or combination drive. Available sizes range from 0-80 to 1/2-13 imperial and M1.6-035 to M8-1.25 metric. Stainless Steel Metric Fasteners: Select from a variety of metric stainless steel industrial fasteners including machine screws, nuts, washers, sockets, SEMS and thread forming/thread rolling screws. Sizes range from M1.6-0.35 to M2.5. Stainless Steel Nuts: We stock stainless steel nuts in over 15 styles including K-lock, 2-way, clinching, and flanged options. Both imperial and metric sizes are available. Stainless Steel Retaining Rings: Designed to fit into the machined groove of a shaft or bore. Available in E and SE, external, and internal styles in imperial sizes ranging from 0.062 to 0.984. Stainless Steel Self-Drilling Screws: Feature a drill point that eliminates the need for a pilot hole in softer materials. Available in Phillips, slotted, square, unslotted or 6-lobe drive and in imperial sizes from #4 to 3/8. Stainless Steel Self-Piercing Screws: Designed to self-pierce light gauge metals and tap their own mating threads. Features a slotted hex head style and offered in #6, #8, or #10 sizes. Stainless Steel Self-Tapping Screws Feature a cutting a gap in the continuity of the thread on the screw, allowing the screw to tap its own hole. Available in different heads and drive styles in sizes from #2 to 3/8. Stainless Steel SEMS: Machine screws with pre-attached lock washers. Offered in hex and pan head styles with a Phillips or unslotted drive. Sizes range from 3-56 to 1/4-20. Stainless Steel Slotted Pins: Cylindrical pins that compress and then expand to position or hold two parts. Available in sizes ranging from 1/16 to 1/2. Stainless Steel Socket Screws: Ideal for limited access applications and tighten with a hex wrench or screwdriver. Offered in several head styles with a Phillips, socket or 6-lobe drive and in sizes ranging from 0-80 to 1/2-13 imperial and M3-0.5 to M6-1.0 metric. Stainless Steel Thread-Cutting Screws: Self-tapping fasteners that create new threads in existing holes. Offered in several head and driver styles and in sizes ranging from 2-32 to 3/8-16. Stainless Steel Thread-Rolling Screws: Self-taping screws that create a mating thread during installation. Available in several head styles and thread with a hex, Phillips, unslotted, or 6-lobe drive. Sizes range from 2-28 to 3/8-16 imperial and M2.2-.98 to M4-1.79 metric. Stainless Steel Thumb Screws: Fasten by hand and feature a knurled or Type-A head. Sizes range from 4-40 to 3/8-16. Stainless Steel Washers: Our inventory includes internal, external and combo external/internal washers in several styles with a plain or black oxide finish. Sizes range from #0 to 12 imperial and M2 to M24 metric. Stainless Steel Wood Screws: Select from exterior screws with a 6-lobe drive or flat Philips screws in sizes from #4 to #12 imperial. Value Fasteners stocks a huge inventory of stainless steel fasteners including bolts, screws, washers, and much more. Our selection includes stainless steel industrial fasteners in different material options with a choice of imperial or metric sizes. Request a quote today or contact us regarding your fastener needs.